A native of Port Coquitlam, BC, soprano Christina Cichos has been singing in choirs as far back as she can remember, beginning with her elementary school choir. Her childhood enthusiasm for music has carried on into her adulthood, where she maintains a deep passion for music and the joy it brings to others. At Resound, Christina is looking forward to passing along her love for music because it is a gift that is at its most valuable when shared with others. Her goal is to bring every student’s true voice forward with ease and sound technique, regardless of what genre they are learning; Christina wishes to instil a sense of fun and curiosity into her teaching, and all of her students’ future musical endeavours! Christina participated in all of her elementary school musicals, even earning herself a lead. Her love of music led her to audition for Coastal Sound Music Academy. She joined their Children’s Choir on a European tour at the age of 11, and was privileged to participate in performances of Handel’s Messiah and Orff’s Carmina Burana, often in conjunction with Chor Leoni. In high school, Christina learned to play the flute and joined the concert and jazz bands. Her first love remained singing, and she joined as many choirs as she could, ranging from liturgy, to jazz, to show, to concert choir. She participated in many school stage productions, the highlight being the role of Hodel inFiddler on the Roof. While completing her degree in Voice Performance at UBC, Christina had the privilege of studying with Heather Thomson-Price, and worked with both Bruce Pullan and Graeme Langager in various ensembles at the University, participating in several choral recordings. She immensely enjoyed working with the Early Music Ensembles, and was fortunate to travel to the NCCO Conference in Colorado with University Singers. Christina still insists that participating in Verdi’s Requiem during her first year there was a formative experience. She also was a founding member of a co-ed A Cappella ensemble that arranged and performed vocal covers of Top-40 pop hits, and proudly presented two recitals as part of her degree program. Upon graduation, Christina Cichos taught private voice lessons and filled in as the choir director at Little Flower Academy in Vancouver. She travelled to London, England, for a three-week course in Acting in Musical Theatre at Guildhall School of Music and Drama. She has sung with Phoenix Chamber Choir, the Oratorio Singers out of St. Andrews-Wesley United Church in Vancouver, and continues to sing as a soprano section lead with Ryerson United Church. 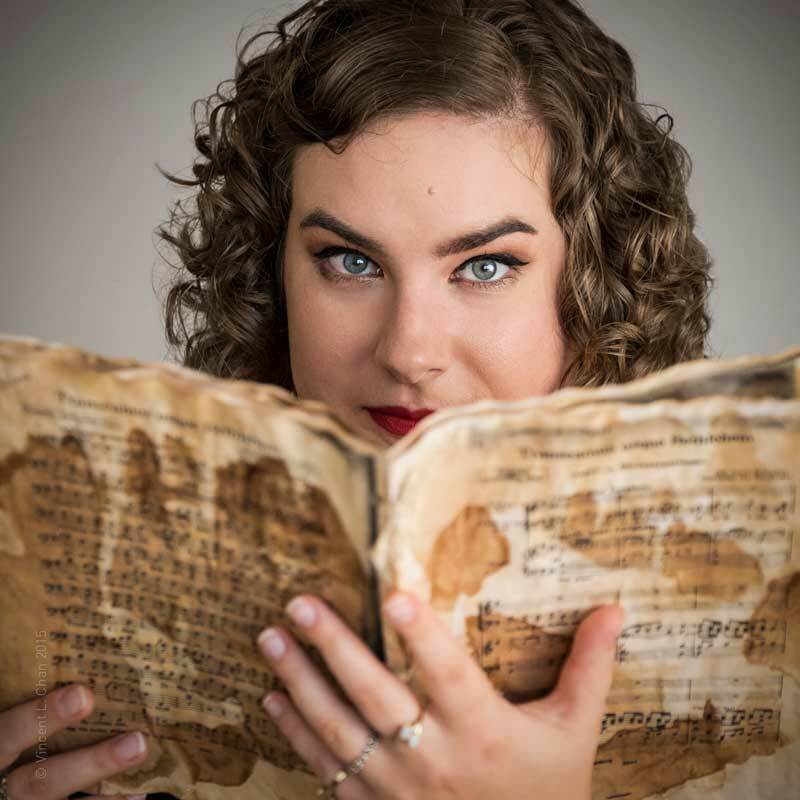 In addition to working at Resound, she sings with the Vancouver Chamber Choir, and is a rehearsal assistant for the Vancouver Bach Children’s Choir under the mentorship and direction of Marisa Gaetanne.